EVE Online: How Do You Say Gate Camp in French? 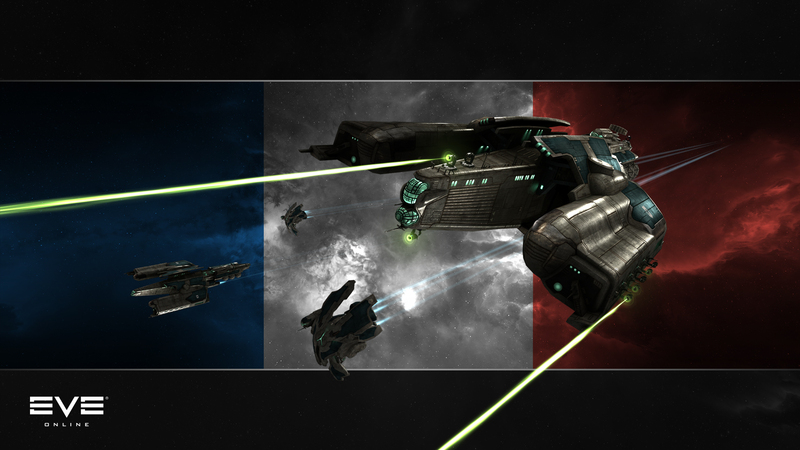 EVE Online will be adding French to the list of supported languages. 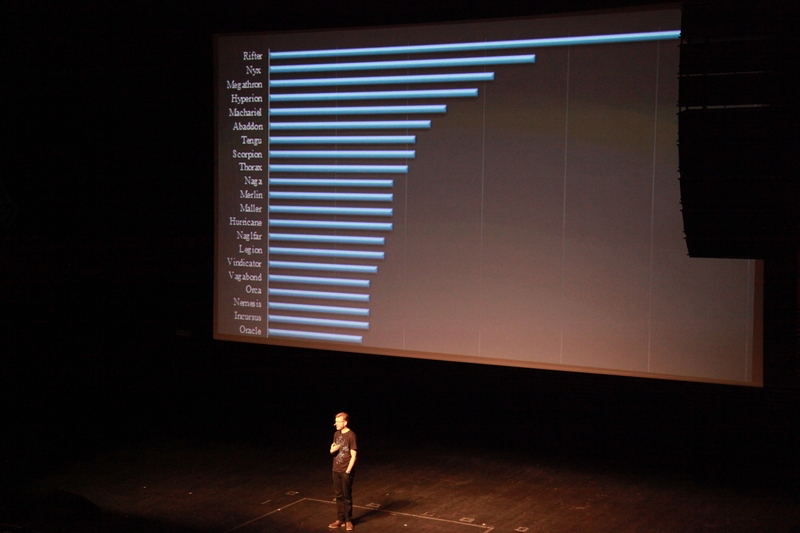 CCP Presents is the final keynote each year at Fanfest and basically caps off the end of the event. Though Fanfest truly ends with the "Party at the Top of the World" so named since Reykjavik is the northernmost capitol in the world. 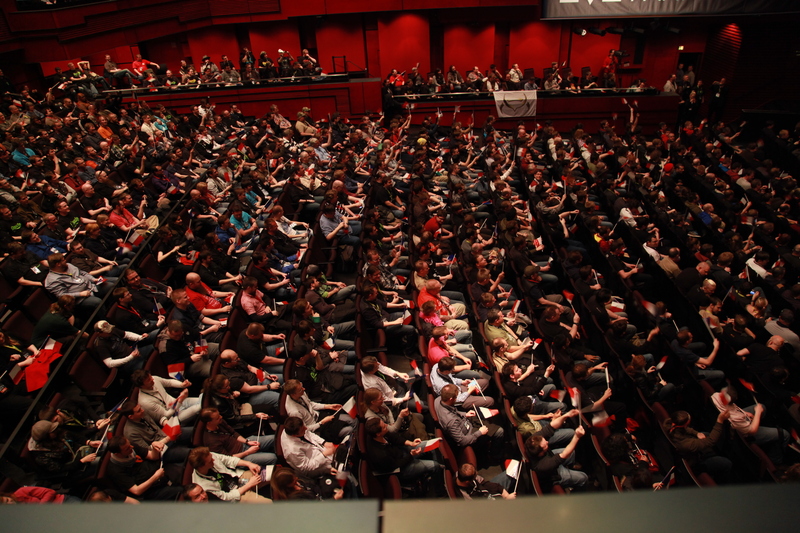 While the keynote usually reiterates and reinforces many of the announcements made previously during the event, CCP still likes to keep a few things up their sleeves for the finale. 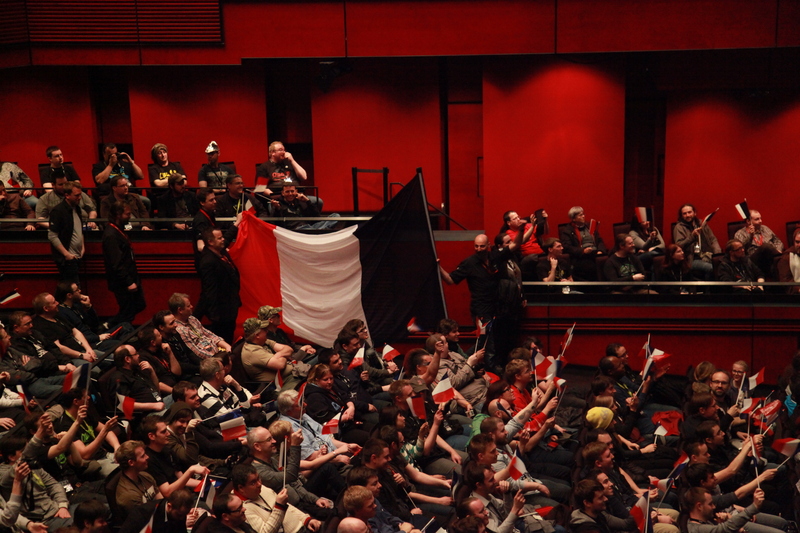 Among other things, it was announced that French would be added to the list of supported languages for the game. 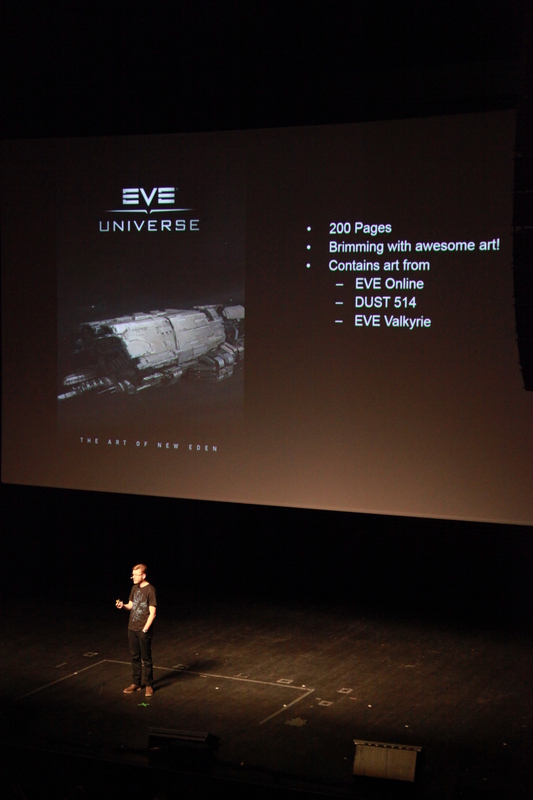 Currently EVE Online has been localized to English, Russian, German, Japanese and Chinese. The addition of a new language opens up the gates for new players. It even have some potential impact in the grander scale since many alliances form around similar time zones to make it easier to mass fleets together. French flags were abound to celebrate the reveal. 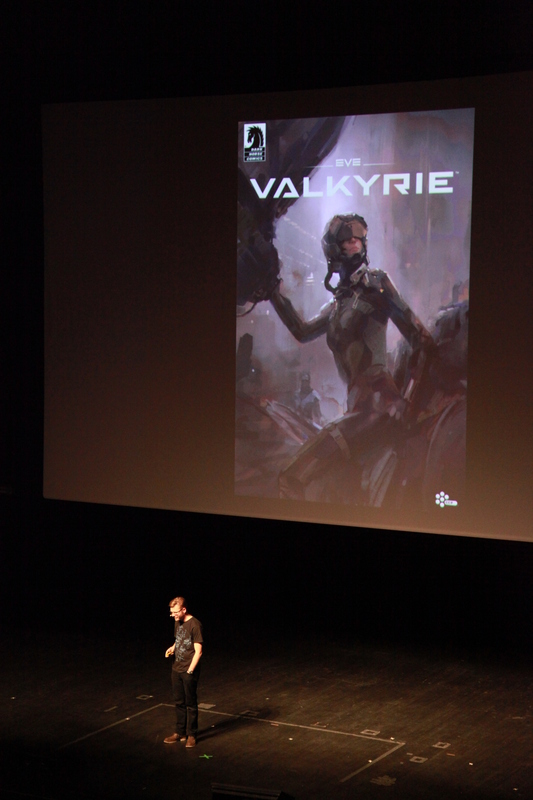 Other announcements included that CCP will continue to work with Dark Horse Comics. Future products will be the EVE Universe: The Art of New Eden artbook, a perfect coffee table book, and a comic series detailing the origins of the first Valkyrie pilot. That character, RÃ¡n, will be played by Katee Sackhoff in EVE Valkyrie. There are also new models for the Megathron and Nyx in the works. More new from Fanfest this year. 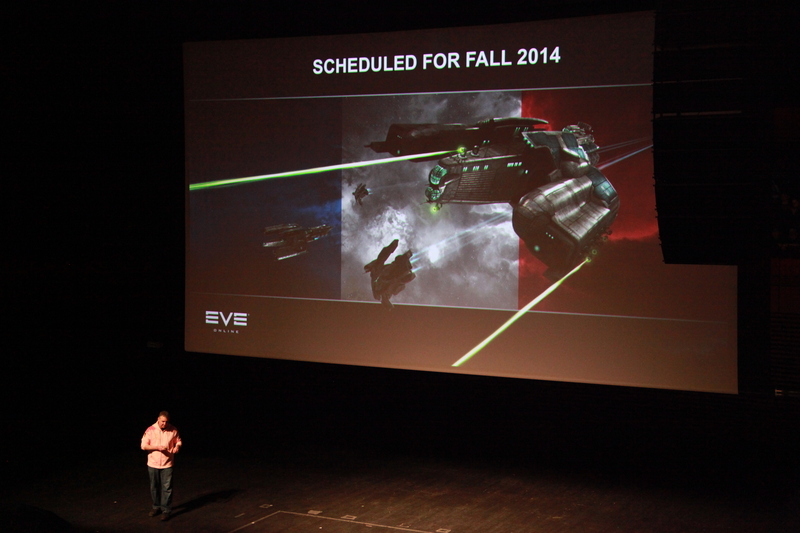 EVE will be moving away from expansions to instead have smaller more frequent updates. CCP also showed off their vision for a re-imagined Dust 514 on the PC.